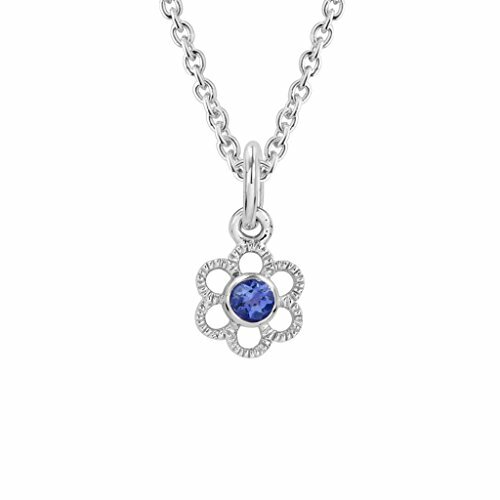 These beautiful sterling silver children's flower pendant necklace include a 2.5mm blue sapphire September birthstone in the center. If you have any questions about this product by Diminuettes, contact us by completing and submitting the form below. If you are looking for a specif part number, please include it with your message.